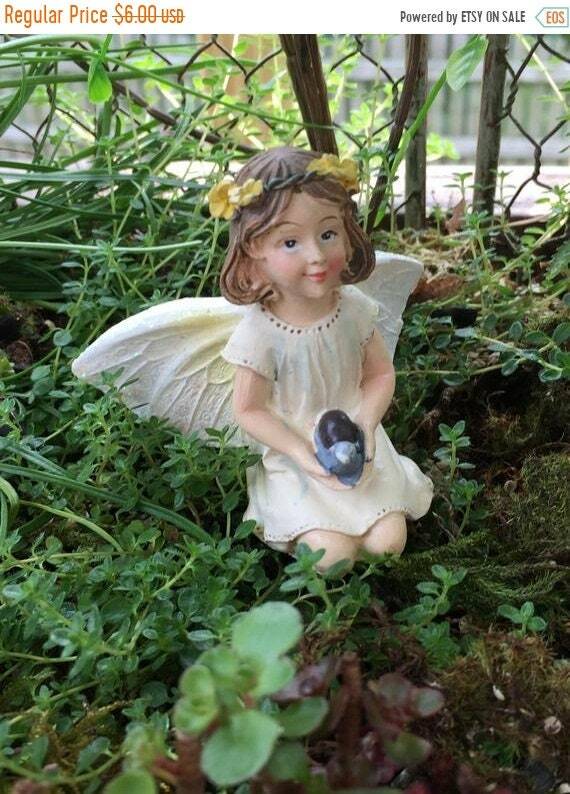 Cute, kneeling fairy figurine holds tiny snail. 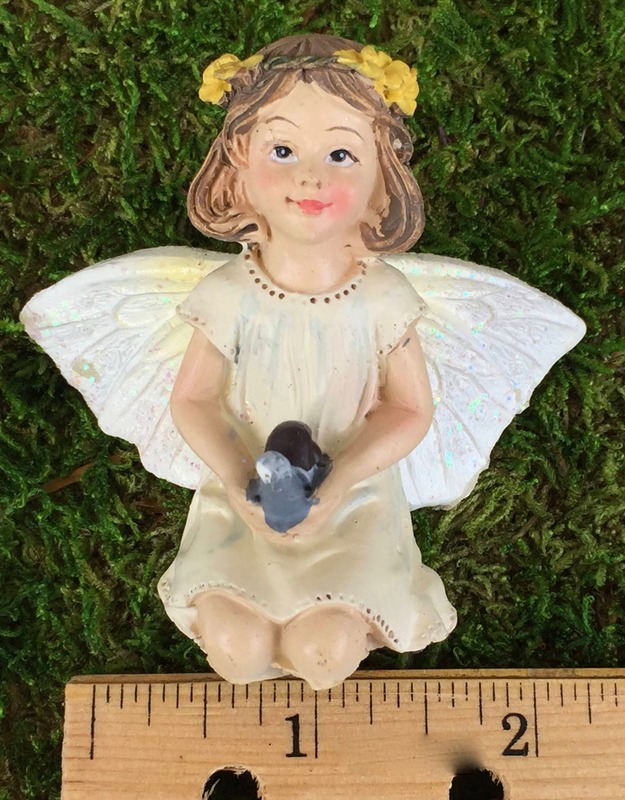 Pretty glittered wings and a sweet face. 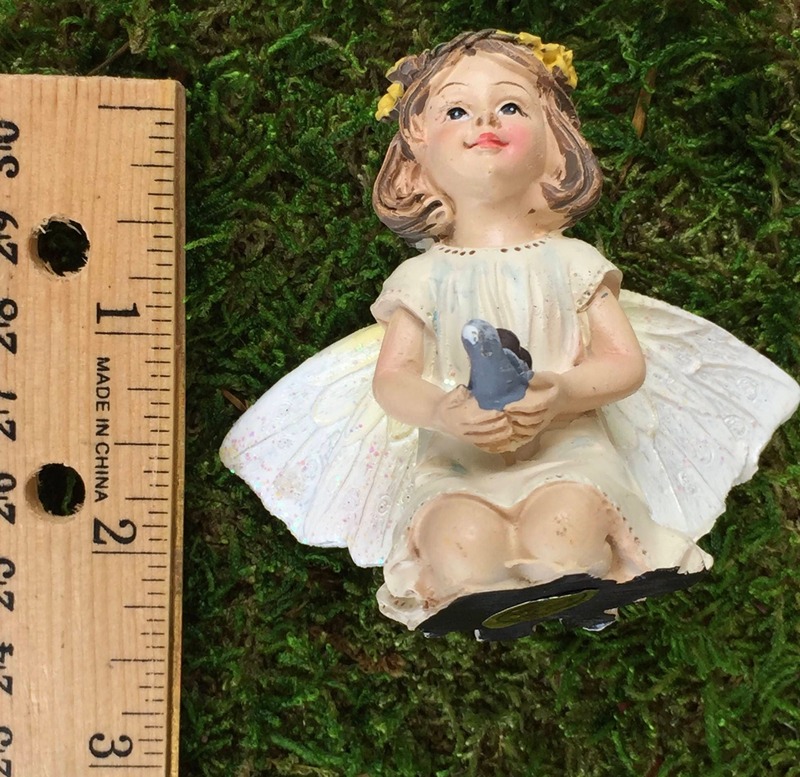 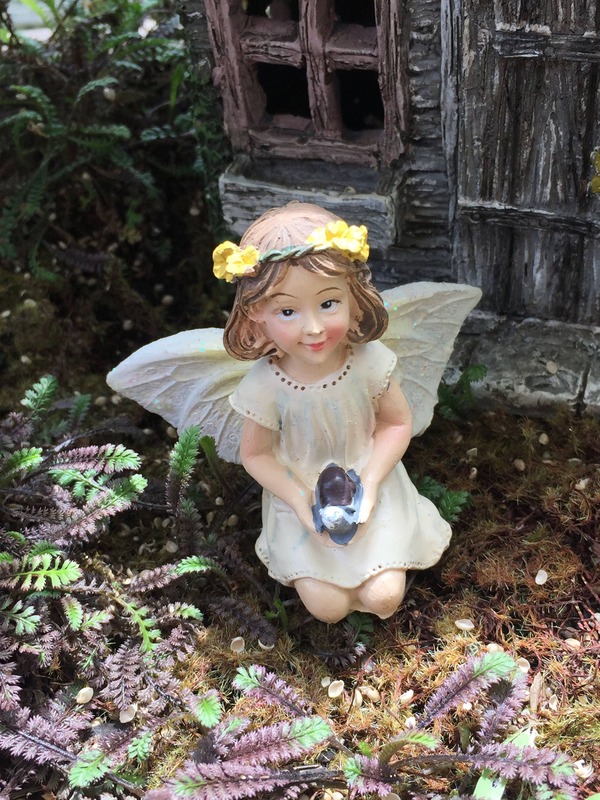 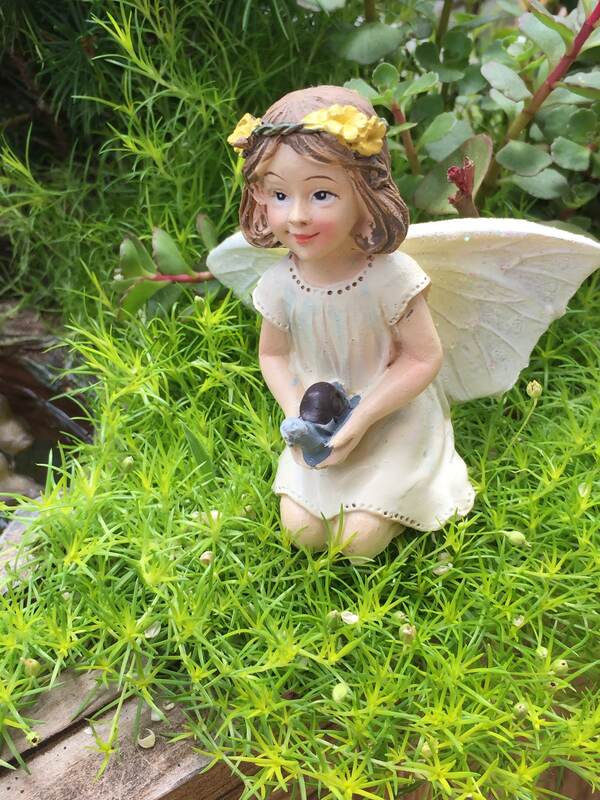 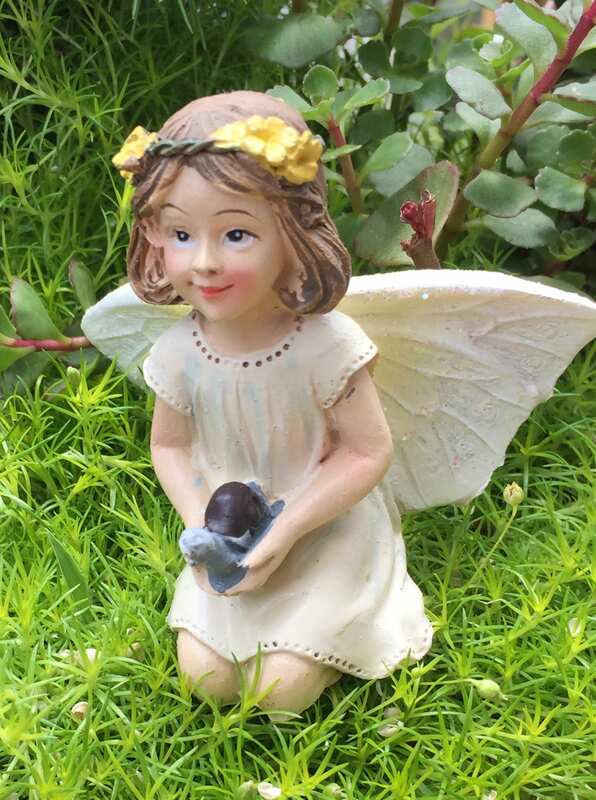 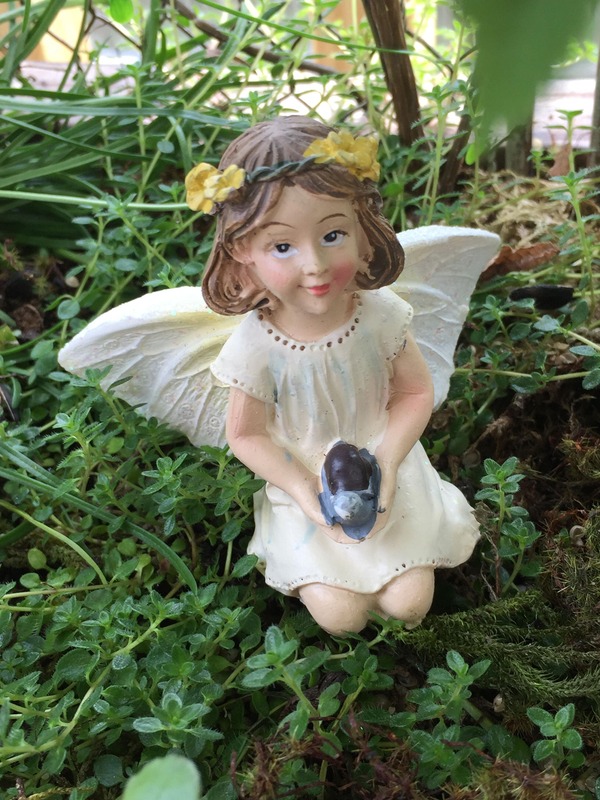 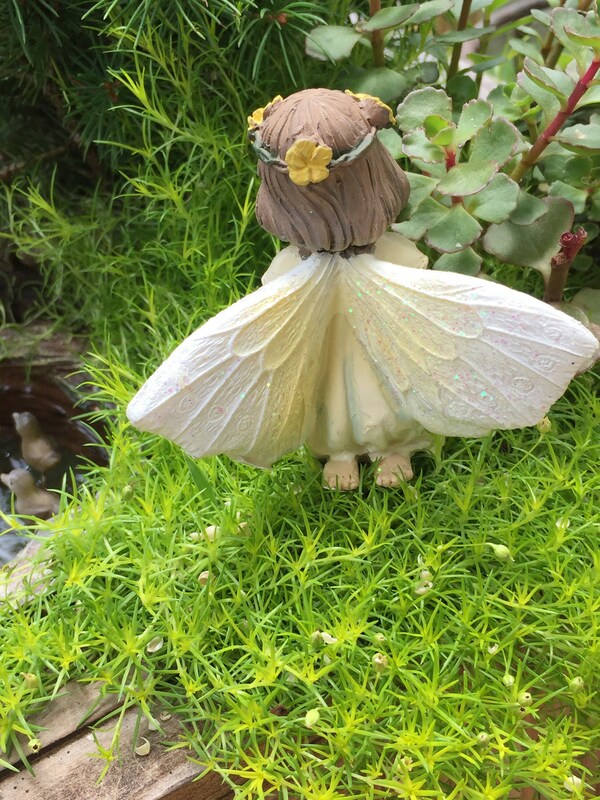 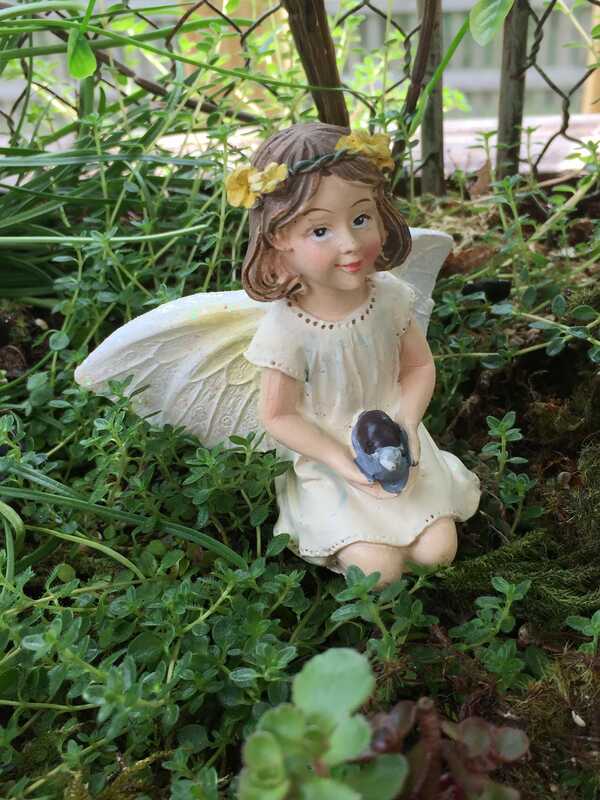 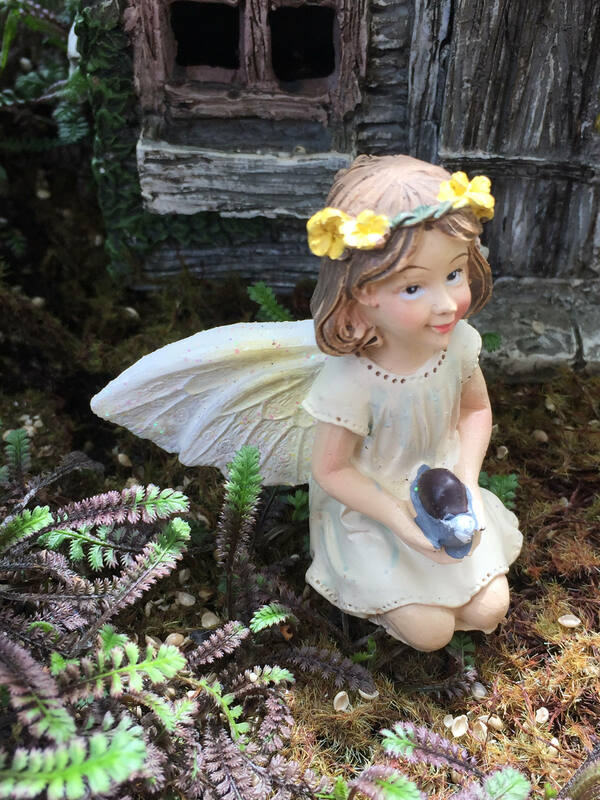 Perfect for your fairy garden, miniature gardening project, shelf sitter or topper.